Ask fellow campers about "TVA Cherokee Dam Campground" and nearby attractions. We stayed at site 35, a premium waterfront. The sites have large gravel (not crushed gravel) which was not very pleasing for our dog's paws and for our feet for that matter. The roads are narrow and paved. The site had no shade and a partial view of the water. The shore was a steep drop off from the site. Trimming a few tree limbs, adding a few shade trees and replacing the current gravel with another type would make this site excellent. All of the premium sites do not have shade except for one. The campground has two small clean bathrooms without AC or fans which made them very uncomfortable. One shower, one stall (Mens) in each, for 36+/- sites, if you need to use them. The water pressure was extremely low for hand washing for both men and woman restrooms. The dumpsters were placed far away from the campsites and had deep ruts in the gravel around them. The sites are level, however most had a extreme drop off to access them. Sites have a fire ring, and a very nice concrete picnic table. Sites are far apart, and the park is very quiet. Expect to see owls, herons, deer, etc from your site. We will return but to a shaded level site. We camped at TVA Cherokee Dam Campground in a Travel Trailer. The Cherokee Dam TVA,which is in walking distance to the campground, has a paved pathway on top of the dam was clean, lighted and very enjoyable. The sunrise view from the dam was outstanding. Dogs are allowed on this path, but not at the picnic area /paths. We enjoyed the daily "dam" walks, the large quiet sites and the nature. Great breakfast at Lisa's Country Kitchen , about 5 minutes towards town(Jefferson City) Walmart about 10-12 minutes away. Waterfront sites are very level with a slight decline to the actual camping spot. Sites are high above the actual lakefront generating steep downgrade to the waterfront. Because of the steep grade walking to the lakefront to fish is tiring. The day use area has a nice swiming beach with easy access to and from. Very large boat launch area where several boats can launch at one time. The campground has several bathhouses that are an easy walk from your sites with clean and well maintained facilities. 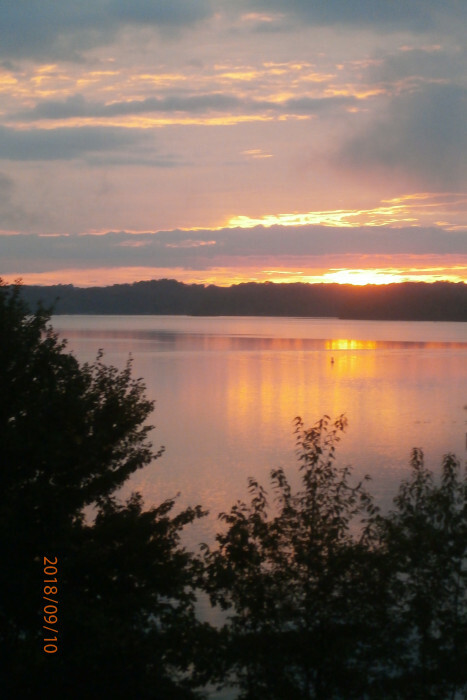 We camped at TVA Cherokee Dam Campground in a Travel Trailer. Management was super friendly and competent. Campground overlooked the lake and was beautiful. No easy access to water from campsite due to treeline and large rocks along bank. Great hidden gem! We camped at TVA Cherokee Dam Campground in a Travel Trailer. Beautiful country, tomato capitol of the US, Jefferson City was a few miles away with a Lowes, Wal-Mart and some restaurants. TVA facilities are top notch, and this campground is excellent. 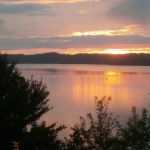 Located on beautiful Cherokee Lake right at the dam. Good for campfires and hanging out, nice shaded sites. Cool swimming beach (lake), picnic areas & pavilions, level mile-long bike riding path to the dam, walking paths, lots of wildlife. While the RV sites are back-in and pea-graveled, they are large / level, and some are waterfront. Correctly located standard water and electric hookups (20,30, 50 amp), no sewer but well laid-out dump station away from other campsites + it doesn't block any entrance / exit roads cause it's on it's own separated loop. The ADA sites (really huge concrete pads) are among the best we've ever seen - and they are near the bathhouse, which is nice & clean with good water pressure, and it has a drinking fountain outside too. TVA is a federal agency, so Golden Age and Golden Access passes are honored for 50% off the base camping rate, hence our listed $16 a night rate. NO reservations here yet -first come / first serve as of 2015- + no long term stays (strict limit of 21 days). And this TVA campground is seasonal, closes in November and usually opens in March, so check website for dates. TVA campgrounds are now being run by a private vendor so reservations may possibly be available in the future. That means camp hosts on-site all the time. They are great - very friendly people you can count on. We absolutely love staying here and will go back every time when in the area. We camped at TVA Cherokee Dam Campground in a Motorhome. There is an attached (and free) boat ramp for lake use and some campers tie their boats up near their waterfront sites. There is another free boat ramp (for river use) below the dam not more than a mile away. 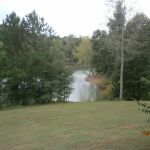 This is a great place for either lake or river fishermen, and it has a large overflow parking lot for trailers. The Cherokee Dam TVA,which is in walking distance to the campground, has a paved pathway on top of the dam was clean, lighted and very enjoyable. The sunrise view from the dam was outstanding. Dogs are allowed on this path, but not at the picnic area /paths. We enjoyed the daily "dam" walks, the large quiet sites and the nature. Great breakfast at Lisa's Country Kitchen , about 5 minutes towards town(Jefferson City) Walmart about 10-12 minutes away. 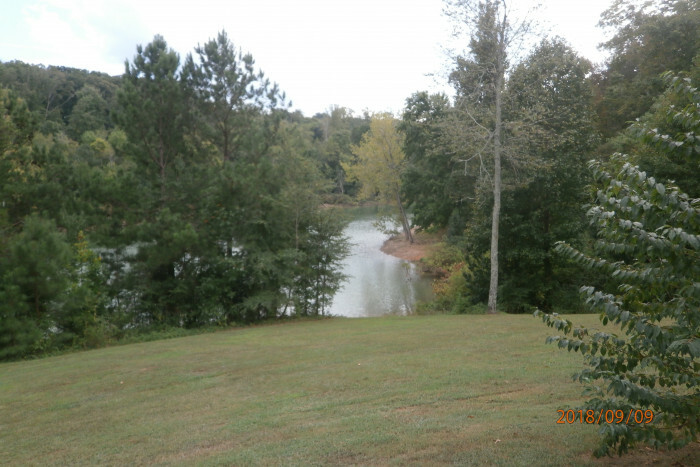 Are you affiliated with TVA Cherokee Dam Campground ?